You’ve been waiting for this moment the whole week, you are comfortably installed ready to stream the last episode of your new favorite show, at the office working feverishly on the last iteration of a software to be released in a few hours or connected online ready to wire your monthly mortgage at the last minute. It is all good until suddenly, the image on your screen slows down, freezes to finally end with a 503 service unavailable error message. Does it sounds familiar? How do you react? 🔲 Do you burst into absolute fury and break your device? 🔲 Do you call your customer service? ☑️ Do you go online and angrily engage in furious threads? Despite being an excellent motivation to do the most avoided chore in the house, it is nonetheless very bad press for online providers. Judging by the numbers of online reactions, it is not a secret that users favor social networks to express their anger. 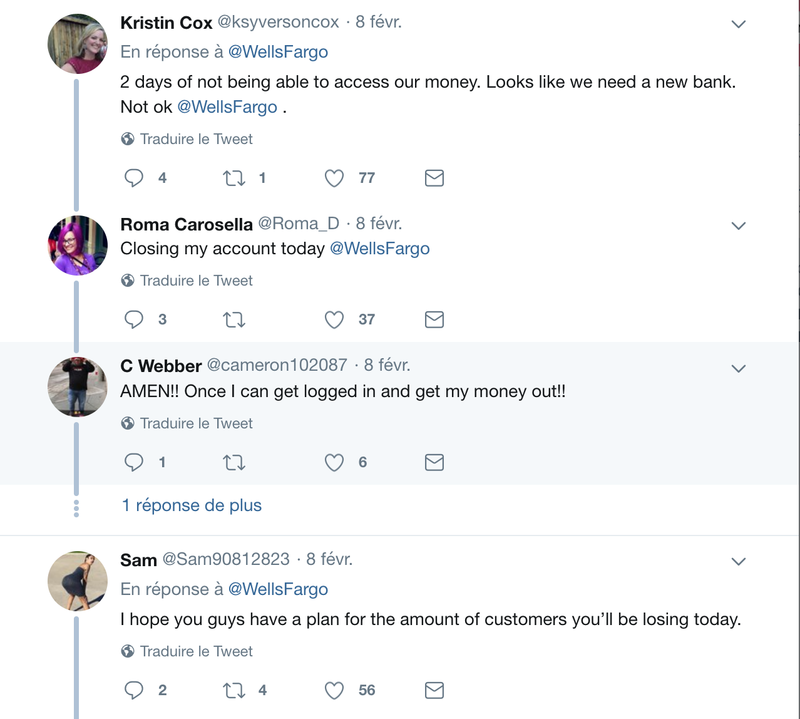 Wells Fargo, a major American bank recently experienced a downtime for several days. As a result access to checking, savings accounts but also cash deposits were made impossible. Unsurprisingly, this sparked a furious conversation online. 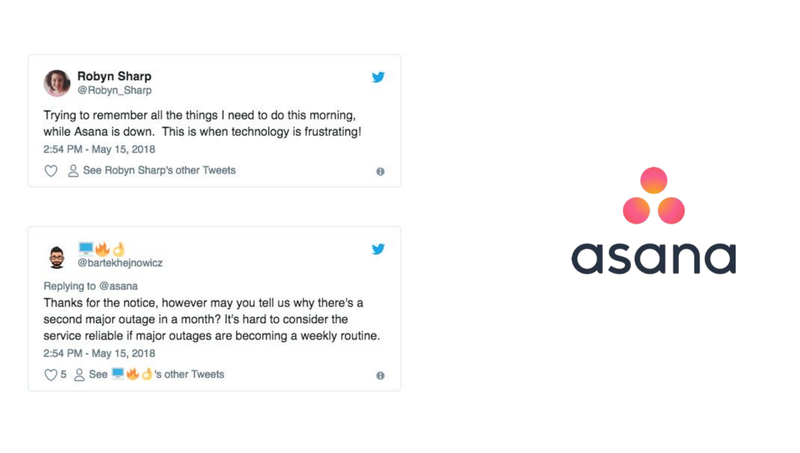 Another field, another downtime, another angry row over an outage: Asana a major collaborative platform was down for hours. Technical failures are unavoidable and unpredictable. They always create frustrations and consequences can be disastrous! 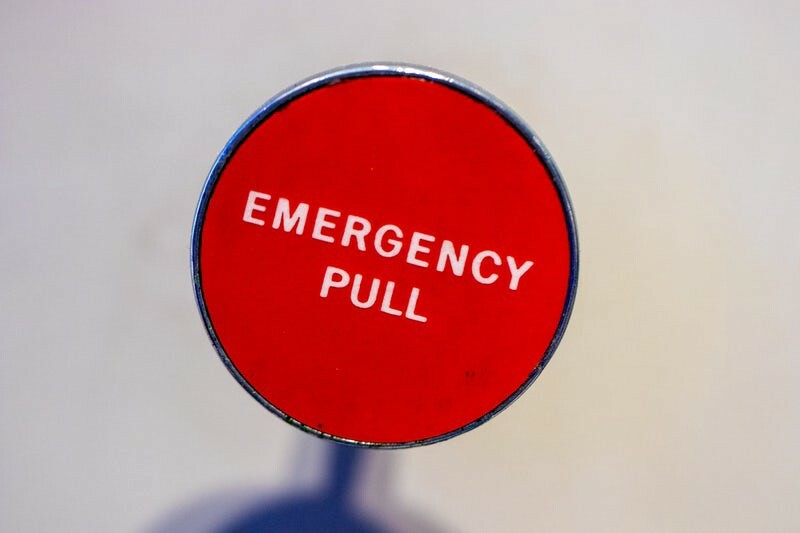 Aware that a bad customer service could break or make a company, online providers are doing a great job in communicating with their users by being anytime available and reachable. Online providers offer many options to reach out to their online customer support. Ticketing, phone calls, interacting online with real or virtual representatives via SNS or emails, the options are multiple. However, if due to a technical outage my mortgage or utility bills can’t be paid on time, my team is unable to work or I can’t watch a sports game for which I pay a monthly subscription, complaining to customer support won’t probably be sufficient enough. As a user what are my options then? Am I entitled to receive a compensation for my loss? And if so how could my losses be estimated? Good news! If you are using a service online, chances are that you have signed or agreed to general terms and conditions or to a Service Level Agreement. They define the reliability you should expect from your provider and ways to settle dispute when the agreed reliability is not met.